TO BEGIN: Choose one or more Porta Alchémica® elixir/s that correlate with your alchemical or magical objective. If possible use a specially dedicated chalice, goblet or bowl for this ritual. Put a small amount of pure water in your chalice. You can add any Porta Alchémica® ritual incenses to your ritual, if you wish. Make sure the charcoal tablet is glowing and ready in the incense burner before you add the incense. Put a pinch of your selected ritual incense on the glowing charcoal before you begin the ritual. STEP TWO: ELIXIR OF CHOICE: Place three drops in a triangular pattern of the Porta Alchémica® elixir of choice into the water in the chalice. 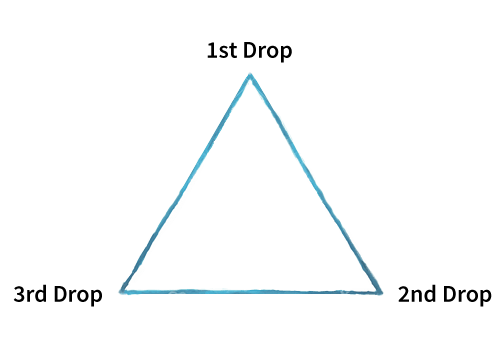 Start at the apex with one drop of elixir then one drop at each of the other two points of the triangle. 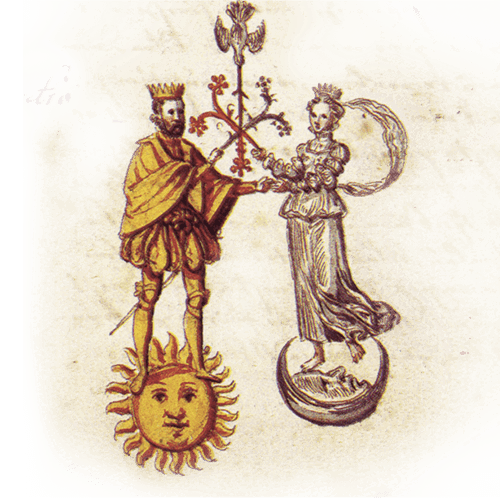 Slowly drink the potentised water in your chalice that has alchemically transformed to become an alchemical chalice of sacred libation. Note: The Porta Alchémica® Alchemist Aura Mist can be used by itself at anytime when you are wanting to seal your aura and create sacred inner space. 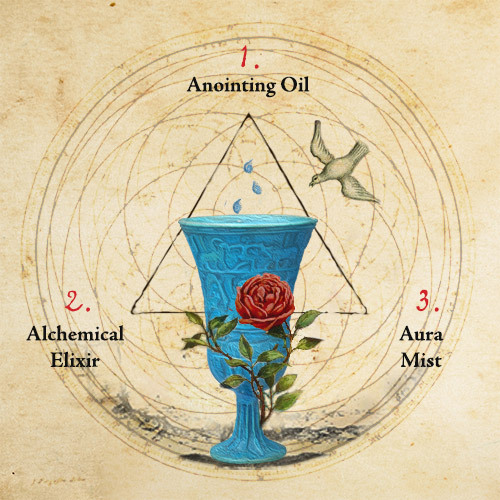 The Porta Alchémica® Alchemist Aura Mist acts to create the rosarium, the sacred rose garden of the alchemist. It creates the purified holy place wherein the alchemist can contemplate and work with the energies now contained in the alembic. 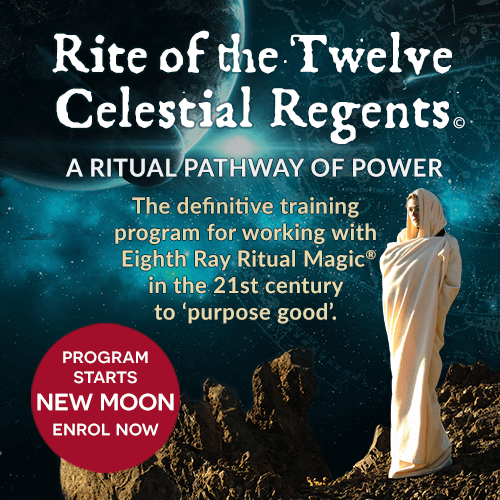 The Rite of the Twelve Celestial Regents© is the definitive training program for working with Eighth Ray Ritual Magic® in the 21st century to 'purpose good'. Work with the power of the celestial bodies to transform yourself, your life and to change the fabric of the universe! 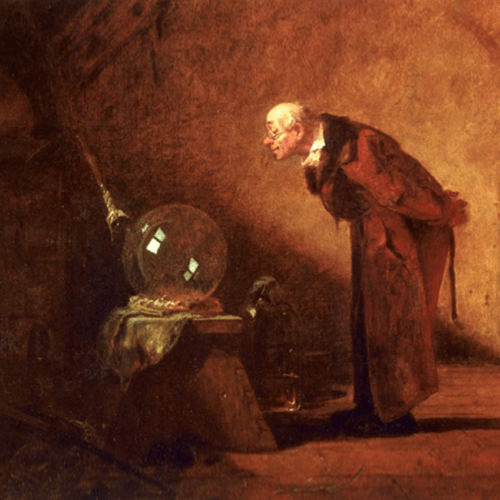 Sign up with your name and email address to receive news, alchemical tips, information and updates straight to your inbox.